Even though I was saving relentlessly for a good 6-12 months in preparation for our big trip, expenses are constant at times and your bank account will continue to do anything but go up. Unless, you decide to do something about it. Of course, I will persist with my writing– that is a life-long endeavour, engrained in who I am and I’ll never turn away from it–but why not promote something else that I have an invested passion in. Health and beauty. Anyone who knows me well, knows I talk a lot about skincare. I love effective products, something that will help someone, change their life and build confidence. For me, these products need to be naturally based, botanically derived. Mother Nature provides us with an abundance of plants that have so many beneficial properties, why wouldn’t we use them to help us? Not just skincare, but makeup too. It’s shocking how many cosmetic brands are not vegan. Many of you meat-eaters (myself included) might think, ok well who cares? But do you really want to put ANIMAL LARD on your skin? Nasty. And totally not good for your pores. The first time I heard about Arbonne was five years ago on my last visit to the USA. A close family friend of ours, Kaitlin, was starting her business with them. I bought a primer and the calm facial cleanser and was blown away but how good they were. At this time, nutrition was a part of Arbonne, but not the major way it is now. Fast forward a couple of years, back home in Australia, my best friend Olivia was starting her own business with Arbonne. I hosted a party for Olivia’s ‘opening’ day and was able to get so many goodies because so many of our friends made purchases. I’ve continued to buy their makeup ever since. At the time I was seeing all of Kaitlin’s posts, our trip was slowly approaching and it just didn’t seem a feasible option for me. I was very focused on limiting my spendings, but mostly figured trying to follow any kind of program would be too difficult and disjointed while moving from place to place. Maybe this would’ve been the case in the first few weeks of our travels, but now that we’re on the road, my diet is mostly back to normal and exercise is regular. Just last week I got a message from Kaitlin. I had not long visited with her in Connecticut and she knew at some point, I would be feeling the pinch in my savings and wanting to make some money. That aside, she knew I cared about health and skincare and saw Arbonne as a great opportunity for me. 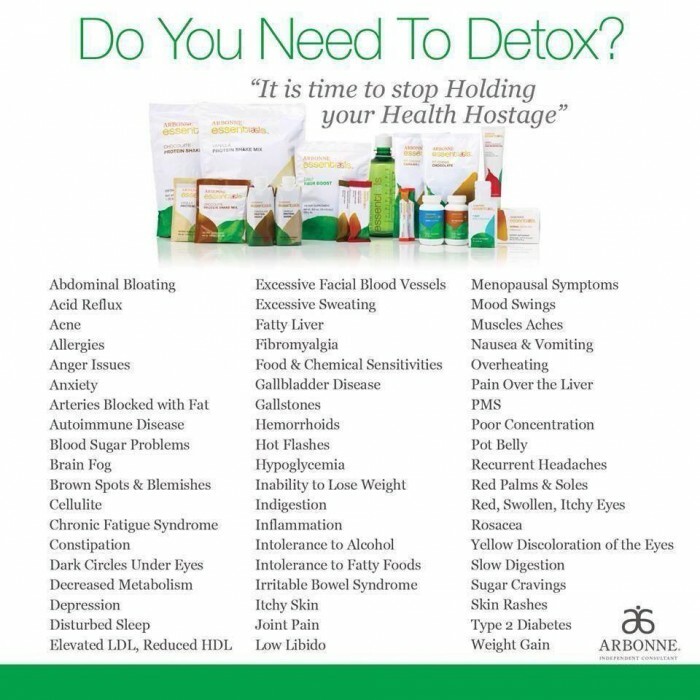 I am so grateful to her because without Arbonne I wouldn’t have developed such a deep understanding for the health benefits of the 30 day to healthy living program, on top of the skincare and cosmetics (which I can already vouch for. The results are undeniable; phenomenal). My detox package will be arriving today (hooray!) and I cannot wait for Abel and I to get started on this health journey while on the road. This entire trip has been, and will continue to be, a fantastic opportunity for us to focus on ourselves from the inside out. Staying fit and healthy while always experiencing something new– I can’t think of anything better. Obviously the detox functions best when applied alongside a clean diet and moderate exercise, but if that’s not something embedded in your repertoire, we provide meal plans and constant guidance and support. Please reach out to me at any time if this is something that interests you. I think we can all honestly tick off at least two of the issues on the list posted above and why wouldn’t you decide to be a part of something that can fix that? You will have more energy, increased concentration and your physical performance will be enhanced. If you’re having skin issues or the products your currently using aren’t quite cutting it, again, contact me. We have ranges for sensitive skin, dry skin, acne, evening skin tone, anti-ageing etc. If you’re currently using non-vegan makeup, I would really recommend changing that. Our range offers light, full-coverage makeup, that will be an absolute treat to your skin. OR contact me if you’re looking for an incredible way to make money from home or on the road. There’s nothing more exhilarating than funding your lifestyle while promoting life-changing products to your friends and strangers, too. Back when I first heard of Arbonne, the business consisted of hosting parties to promote the products, but it has changed and evolved so much to keep up with the times. Now, you can do this kind of work form anywhere and it truly is for everyone. Consider changing your life from the inside out– your body will thank you for it!